Wow, March is at its end already?! 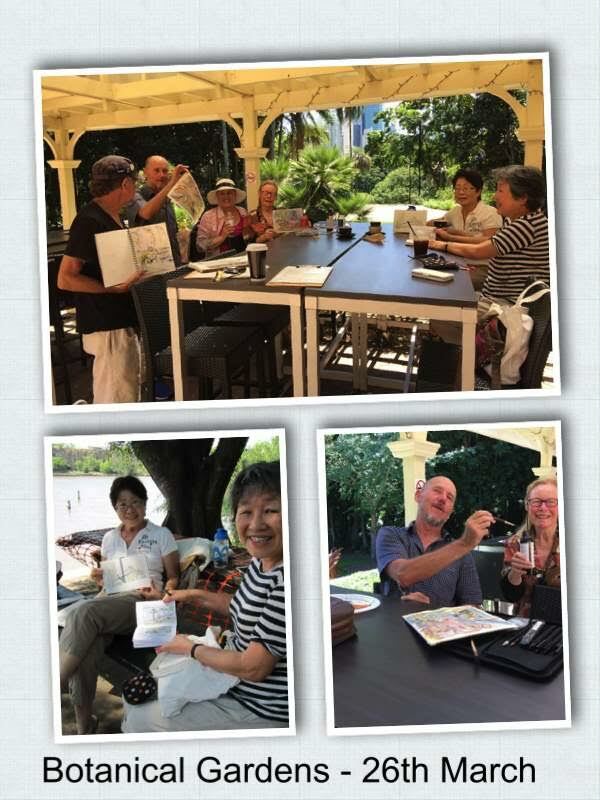 Hi, I’m Liane Worth, one of the Brisbane USK admin team. 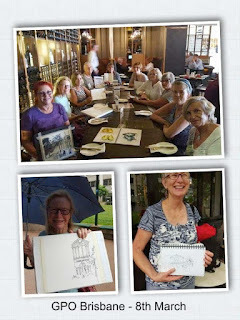 This month I am writing the monthly roundup for our very active group. 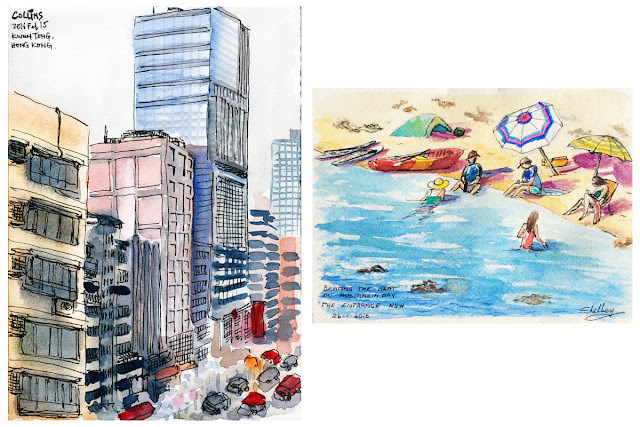 This has certainly been a busy month in many aspects. 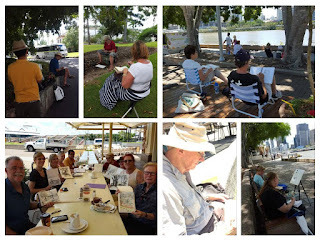 Brisbane USK have held nine ( 9) sketchouts with between 5 – 13 sketchers at each event. 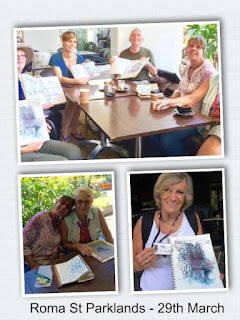 I have to say that I love being part of this group, it is fantastic to meet up with like-minded people, to have the comfort and inspiration of sketching with others (it can be lonely & uninspiring constantly sketching by myself), to see how other sketchers interpret the same scene and of course I can’t forget to mention the learning and laughter we all share over a coffee at the end of our morning. 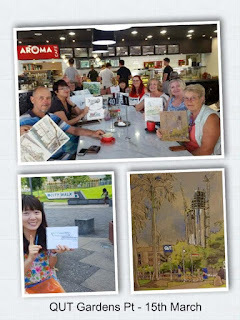 work and perseverance in dedicating herself to organising two sketchouts for this group every week! I don’t know where she gets the energy! 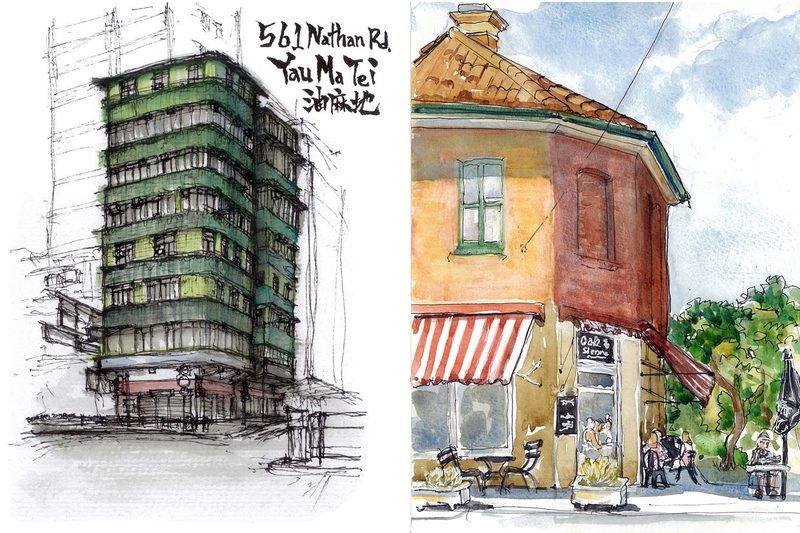 I am helping to ease her burden a little by organising at least one sketchout a month. 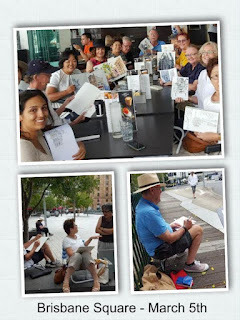 Due to our busy lifestyles, JJ and myself have not always been available this month to run sketchouts, so we have been very happy to have a couple of our regular sketchers step in and run a couple of events in our absence. 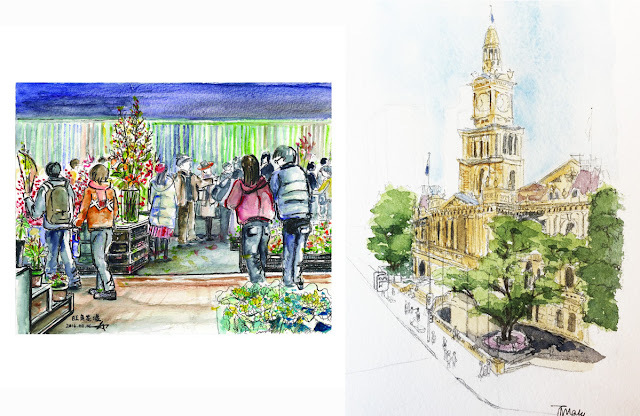 Thank you very much to Susan Baggio and Peter Darmody, your help has been greatly appreciated. This is another aspect of USK that I love, when in need someone does step up and help out. 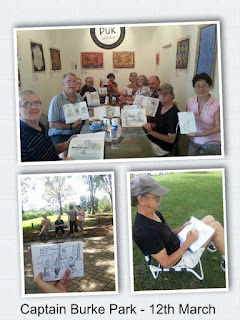 Isn’t that what life (and art) is all about, sharing, teaching and helping each other. 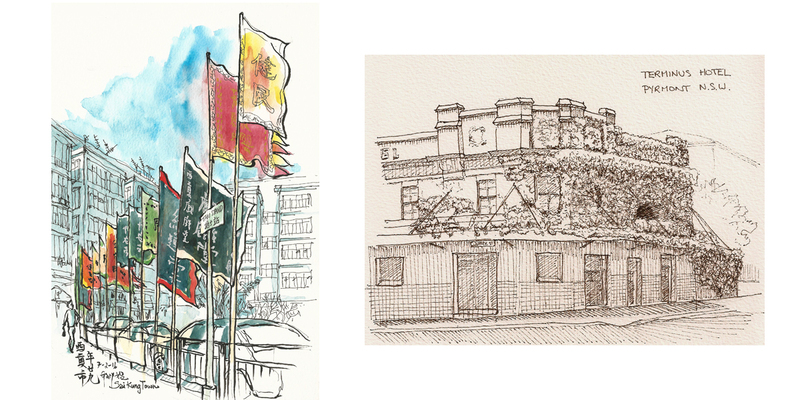 Anyway onto our vast array of sketching days, locations and the main reason – the artwork produced. 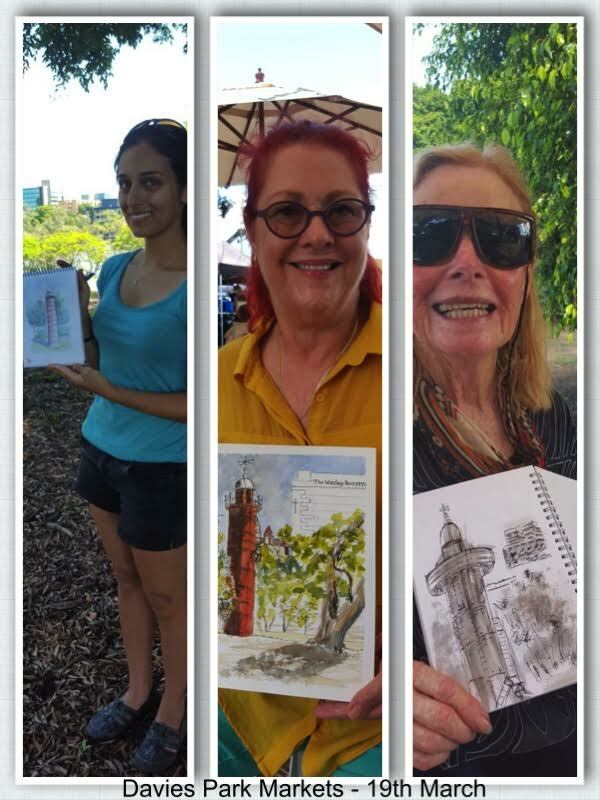 while others decided to sketch buildings in the adjoining QUT campus. 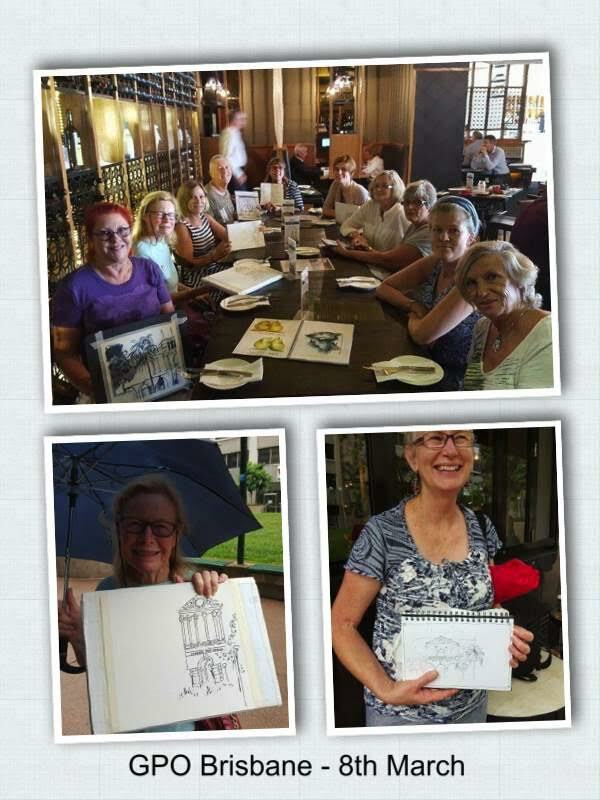 Saturday 5th – Brisbane Square – hosted by JJ Bell 13 sketchers met today (quite a turnout) to enjoy the variety of new and old buildings to draw from this location. 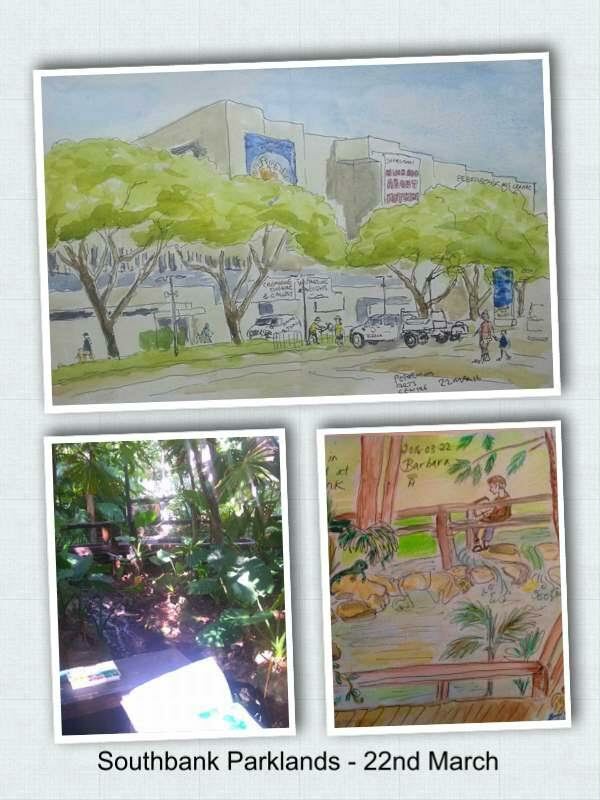 coffee shop became our refuge, therefore limiting our view. 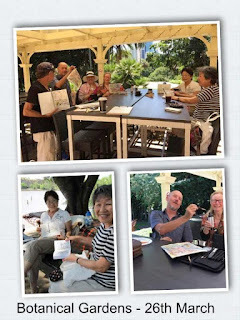 Not to worry the coffee and the company was great! 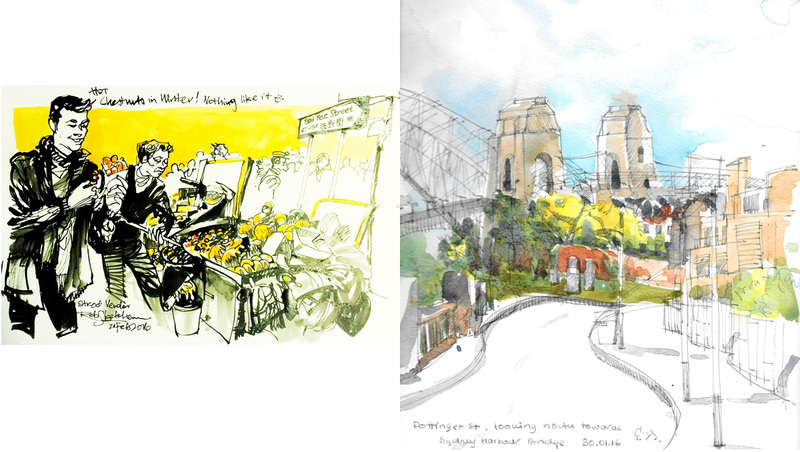 perspective views of the Story Bridge. 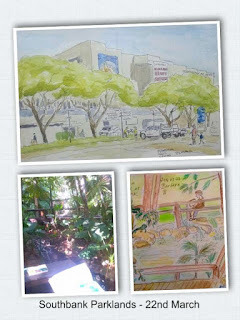 university campus, while others were inspired by the Botanical Gardens that adjoin. course eat at these markets. I’m sorry that I was unavailable to attend this event! 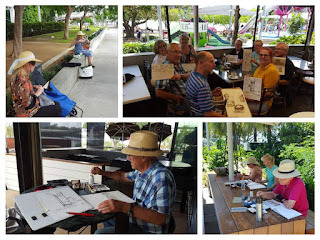 5 sketchers turned up today, most of whom found inspiration along the Rain Forest Boardwalk. 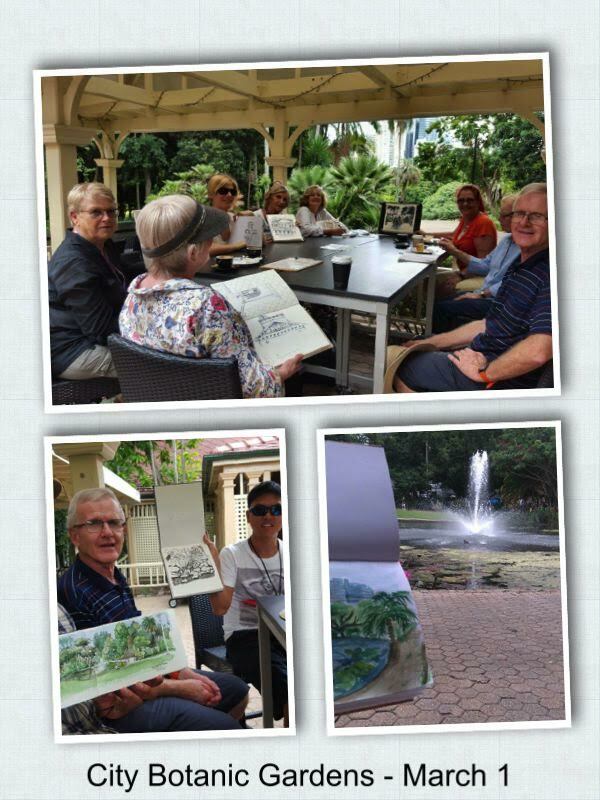 This is a gorgeous spot within the parklands, full of tropical plants a creek and plenty of atmosphere. There was a little confusion regarding the meeting place, however each person did their own thing! stepping in to help, Peter!) 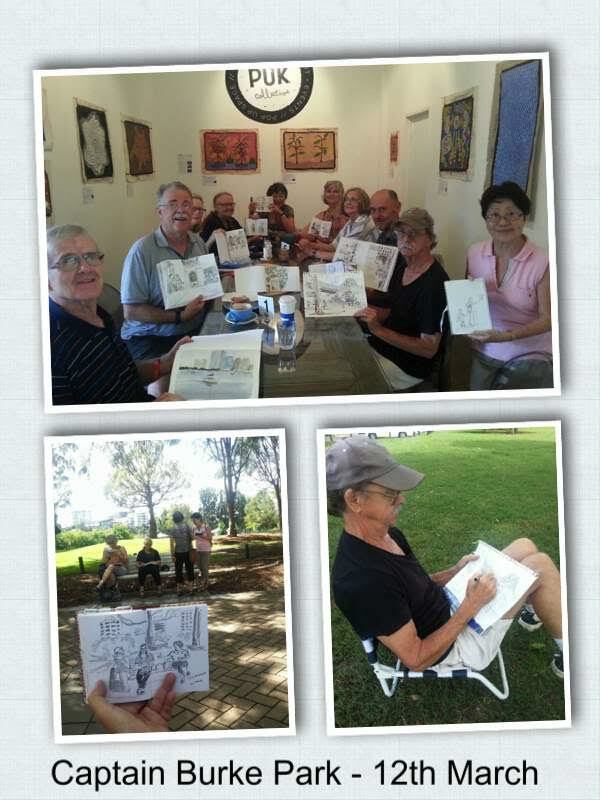 Seven sketchers came out for this event, great turn up for Easter Saturday! The weather was fantastic, how could you not have a great day sketching. 6 sketchers (including myself, YAY, family duties over!) 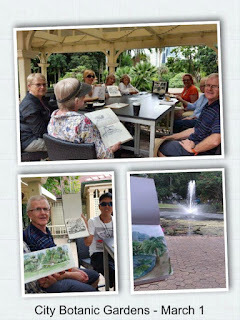 had a wonderful time in the parklands today. 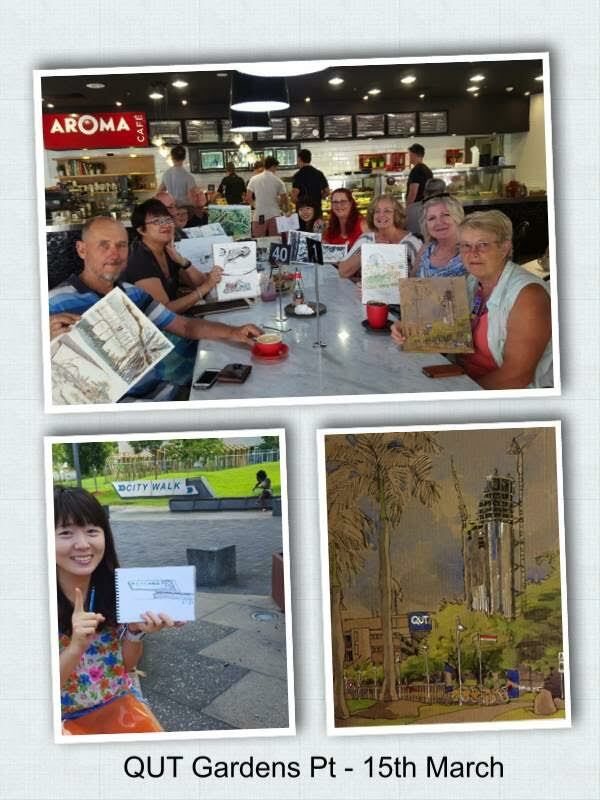 It did turn out to be rather warm and humid, however fresh air, beautiful scenery and comradeship prevailed! 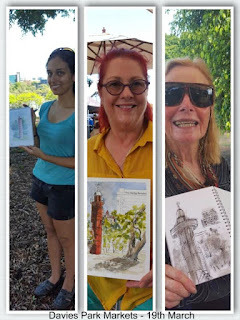 Thank you for taking the time to read us. 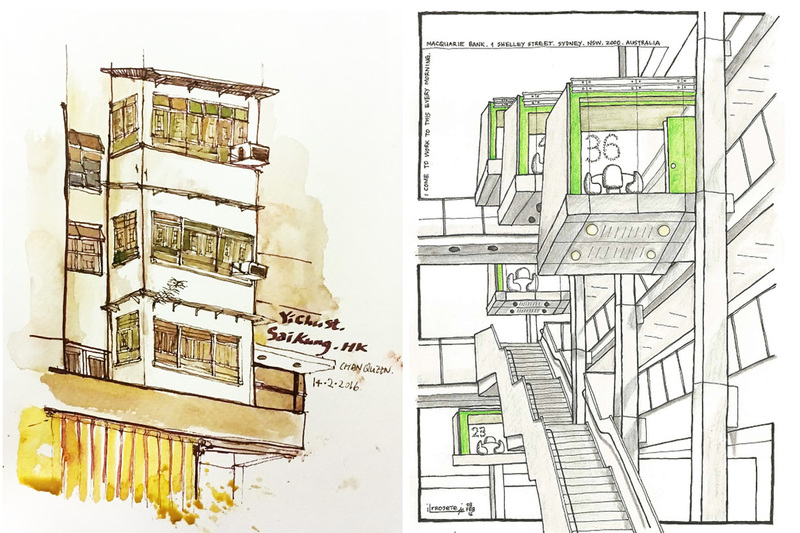 Following on from Part 2, here is the final series of sketches swapped between Urban Sketchers in Sydney and Hong Kong from December 2015 to February 2016. 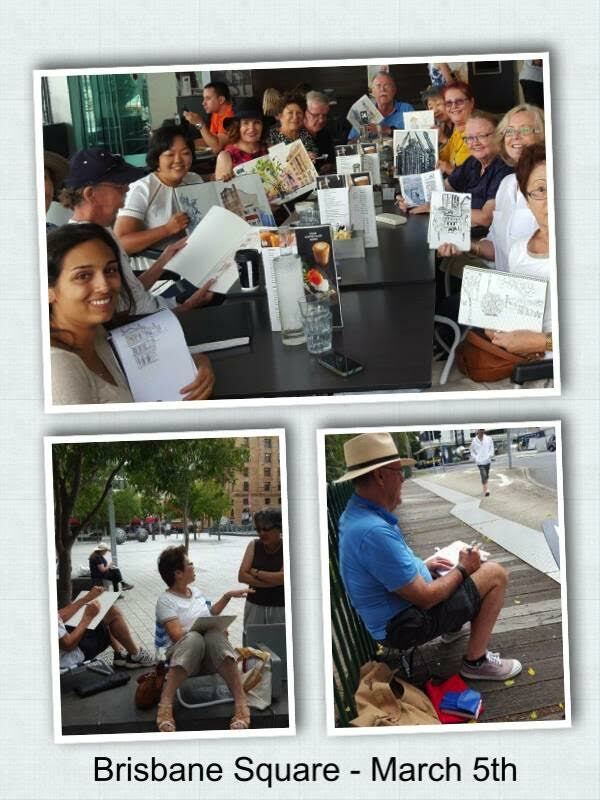 Sketchers were guided by the theme of choosing something representative of their city or an event special to them. They were paired for direct swaps and are presented side by side (click on images to enlarge view). Following on from Part 1, here is the second series of sketches swapped between Urban Sketchers in Sydney and Hong Kong from December 2015 to February 2016. 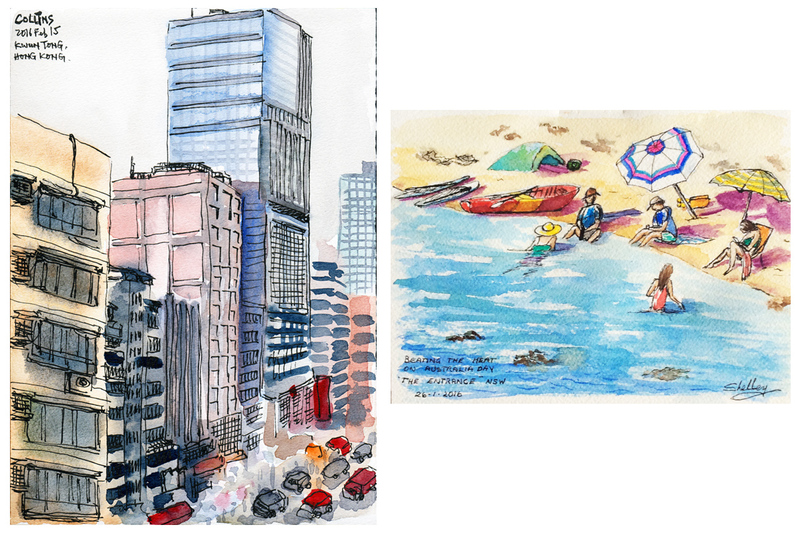 Thank you again to USK Hong Kong for sharing your beautiful work with us!